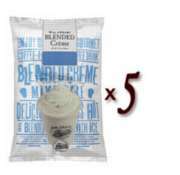 Big Train Blended Ice Crèmes are perfect when you don't want, or cant have, coffee; they are COFFEE-FREE. 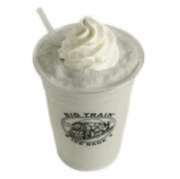 Crème frappes taste just like an ice cream shake (without having to freeze all that ice cream)! Even better, you can add espresso or fruit to make the richest tasting frozen coffees and fruit smoothies around! Available in delicious flavors like: Belgian Chocolate, Black Cherry, Bubble Gum, Cake Batter, Cookies 'n Cream, Cotton Candy, Eggnog, Hazelnut, New York Cheesecake NEW, Orange Cream, Peaches & Cream, Root Beer Float NEW, Southern Velvet, Strawberry, Strawberry Banana, Vanilla Bean, and Watermelon!